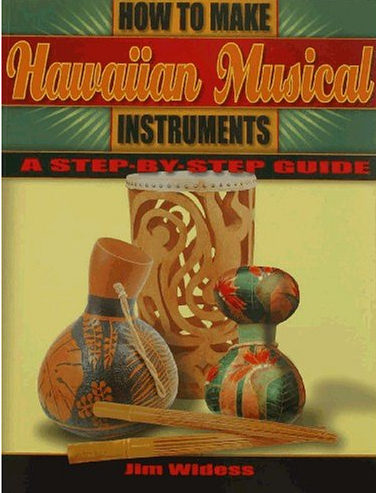 The Ultimate Make Your Own Hawaiian Instruments Book! If you’ve ever seen authentic traditional music or dance from Hawaii, you’ve probably been struck by its beauty, grace and uniqueness. Although some of the instruments and traditions share roots in Polynesian culture, the islands of Hawaii have developed musical traditions and instruments that are deeply distinctive and singularly beautiful. And so many of the instruments are truly unusual – such as a knee-pad drum covered with the skin of a unicorn fish, gourd nose flutes, coconut bullroarers and even pairs of smooth river rocks used in a manner similar to castanets. For a wonderful exploration of the percussion instruments used in Hawaiian music, check out the book: How To Make Hawaiian Musical Instruments, by Jim Widess. The book has detailed explanations of each instrument, historical background and many photos of the instruments being used by traditional players. Although the book is set up as a series of tutorials, the information is so good and so beautifully photographed that it serves as an exceptional introduction into the world of Hawaiian music. What are the instruments detailed in the book? Take a look at the names plus brief descriptions below and hopefully it will make you curious enough to delve deeper into traditional Hawaiian Culture. Few countries consider music so important that they actually designate a national instrument. Not so in Paraguay, where it’s beautiful and distinctive harp and harp music are considered national treasures and are loved throughout the region and the world. 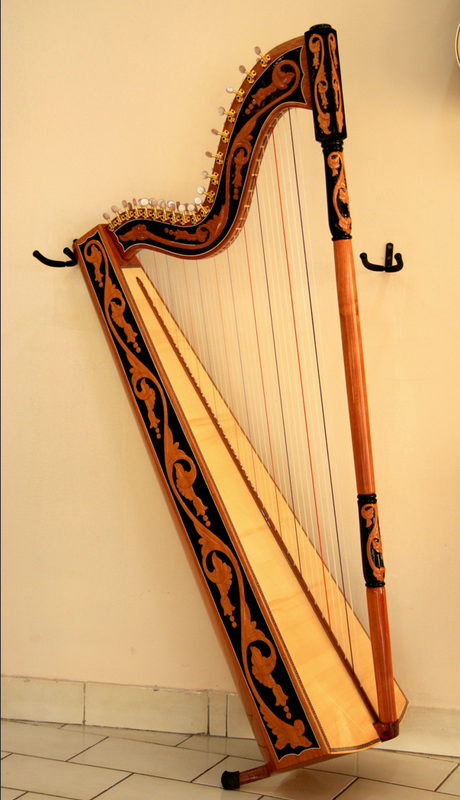 Although there are many harps found in Europe, South America and across the globe, the Paraguayan harp is distinctively light, weighing only about 8 to 10 pounds. 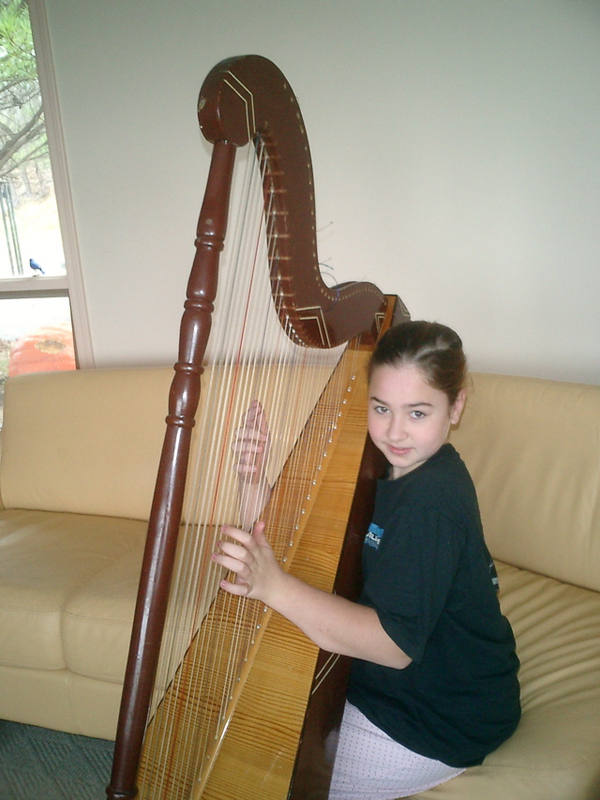 Tuned to a diatonic scale, the Paraguayan harp can have 32, 36, 38, 40, 42 or 46 strings and stands about 4 ½ to 5 feet tall. But why talk about a Paraguayan harp, when you can listen to one? Here are four videos our favorite Paraguayan harp songs along with a bit of description and explanation. A classic of Paraguayan folk music, here you see 400 harps (yes, really 400 harps!) perform this beloved song. What is a pajaro campana? Literally a “bell bird”, most people agree that it’s the name for a bird heard around the capital city of Asunción whose call sounds like a bell. This mega-concert for harps was held at the “Plaza Uruguaya” on July 15, 2012 to mark the 475th anniversary of the capital city of Asunción, Paraguay. Here’s a second version of the same song. This time, you can hear two harps playing together in the form of a duet. Videotaped at a family concert in Carnegie Hall Dec 11, 2012, you can hear the distinctive voice of the Paraguayan harp as well as an ensemble of folk musicians playing shekere, quijada, upright bass and even dancing on a wooden box! Moliendo Café means “grinding coffee” in English. The song was written by composer, Hugo Blanco and has a beautiful and haunting melody. Performed here as an instrumental by harpist, Nicolas Carter, lyrics to the song are below the video clip. Have you ever seen a movie or t.v. program about Australia? If you have, you’ve probably already heard a didgeridoo, a unique instrument originally created when termites hollowed out long sticks or branches they found in the outback. The didgeridoo produces a wonderfully odd noise that sounds like a cross between a ship’s foghorn and an elephant lost in the jungle. 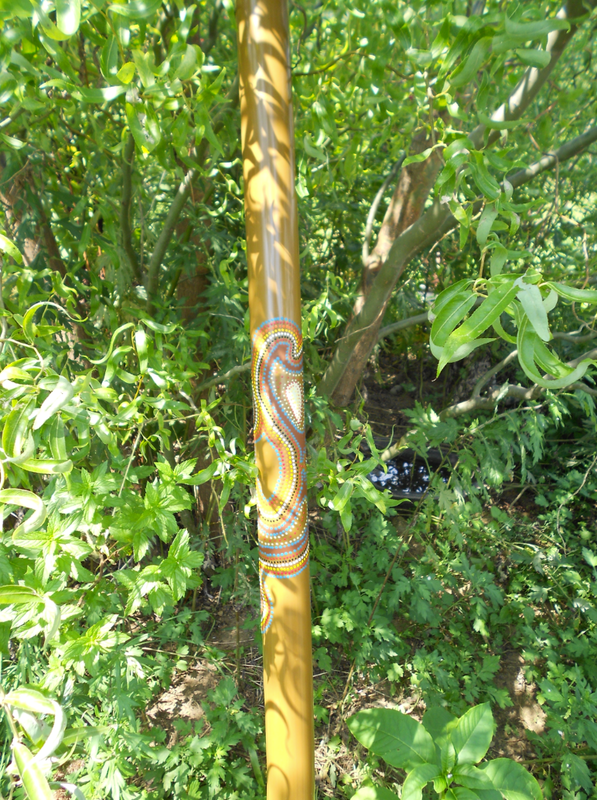 If you have a long tube from giftwrap or a length of pvc piping, you can create a good working version of a didgeridoo to experiment with at home. How was the didgeridoo discovered or created? Well, here’s a story that explains it all. A long, long time ago – so long ago it happened in dreamtime – some ancestors decided to go camping. They went off and had a great time, but the weather turned cold at night so they built a warm, glowing campfire. As they sat around the fire, adding more sticks for warmth, one ancestor noticed that a branch he was about to toss into the flames contained the small, white ants that many people call termites. The ants had eaten away at the branch until it was hollow and they were still living and crawling inside. Since the ancestor respected the ants and did not want to toss them into the fire, he pointed the stick toward the heavens and blew gently to remove the little creatures. As he did, the white ants flew out of the stick and up into the heavens to become the twinkling stars that we see in the night sky today! And, to everyone’s surprise, the stick made the most wonderful, unique, incredible noise. It was the sound of the first didgeridoo! And that is the story of how one ancestor’s respect for all living creatures led to this wonderful musical instrument discovery. 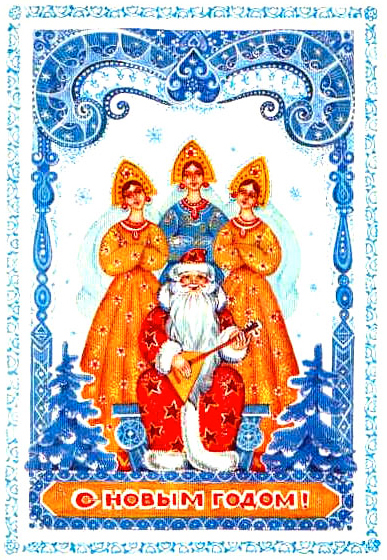 Would you like to hear a didg, color a didg or make your own version and learn to play it at home? Check out the links below. What Are Castanets or Castañuelas? Do you like to explore different kinds of percussion instruments as well as world cultures? The castanets are a wonderfully unique instrument. Although they are most often associated with Spanish music, no one knows for certain where they originated. There are historical accounts of castanets in countries such as Spain, Portugal and Italy and in cultures and empires that flourished in the region such as the ancient Romans, Ottomans and Sephartic people. What Do Castanets Look Like? Many people think that castanets are shaped liked a shell and the two sides are joined together by a piece of string or decorative ribbon. Originally they were made of hard wood which created a beautiful, loud sound when “clacked” together. 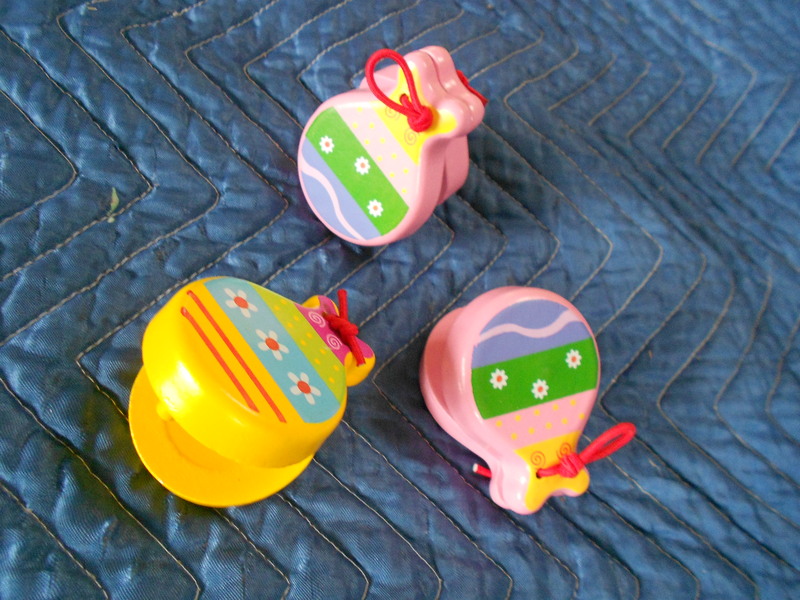 Modern versions of castanets can be made from plastic and fiberglass as well. In fact, the Spanish name for castanets is castañuelas – which means “little chestnuts”. It makes you wonder if the first castanets were two chestnuts halves clicked together or if the shape of a dried chestnut inspired the design. How Do You Play The Castanets? 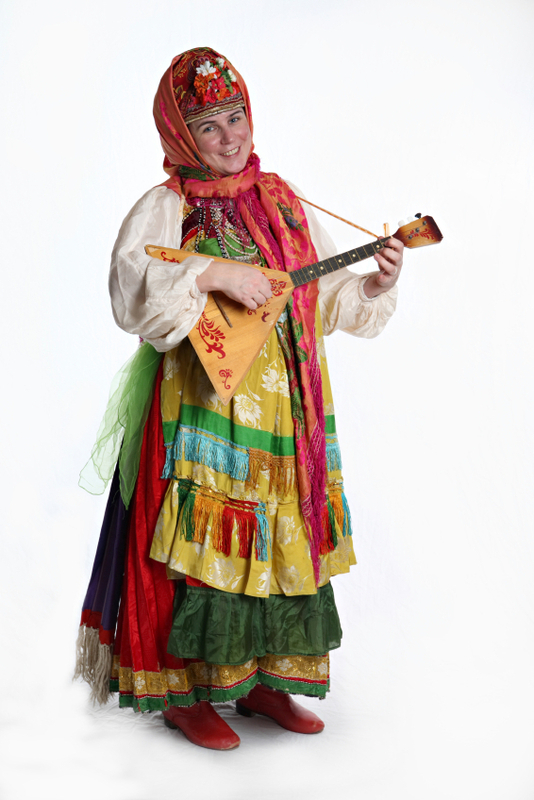 If you slip the string from a castanet onto your thumb or your middle finger, you’ll find that you can open and close the fingers of that hand and get the instrument to click. You can do that slowly or quickly. Then do the same with the other hand and you have two instruments that click together or back and forth, like they are talking to each other. 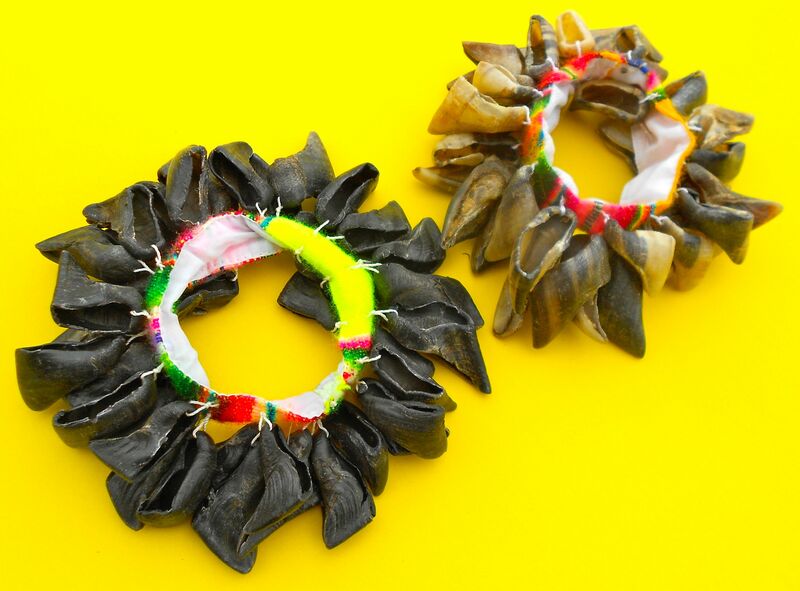 In castanets crafted for the serious dancer or player, one pair will sound slightly different then the other. One is called the “male” (macho) and the other “female” (hembra), meaning that they have a slightly different pitch. Just like maracas, each one has a different tone so the rhythms can be more complex as the two sounds are blended. Although most people associate castanets with the flamenco dance style of Spain, castanets are only used in two different types of flamenco dancing – styles called “zambra” and “siguiriyas”. Castanets are also featured in a type of Spanish balletic dance called “escuela bolera”. In the Andalusia region of Spain, castanets are also called palillos meaning “little sticks”. In some orchestral settings, castanets are mounted on a stick or have an attached handle and not played inside the hands, but “clacked” back and forth. Although castanets are two wooden or plastic items striking each other, their size and shape allows kids (or grown-ups) to experiment with how they can be played. Try placing the string over your thumb or middle finger and getting them to click. Adjust the string or ribbon, if necessary. 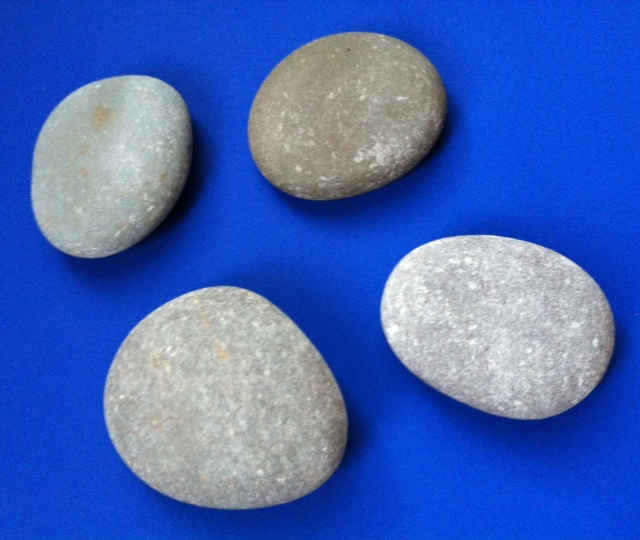 Put a pair on each hand and see what rhythms can be made by playing them back and forth or at the same time. Try creating rhythms while dancing and keeping in time with the music. If the hand movement seems too complicated, consider using a pair of mounted castanets in place of the smaller “inside-the-hand” ones. Want to explore more unique world music instruments? 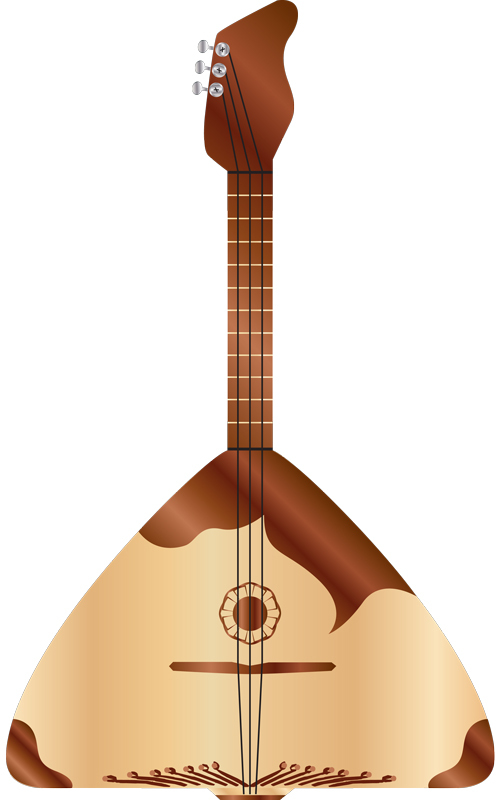 As you travel around the world you’ll find musical instruments made from unusual items. 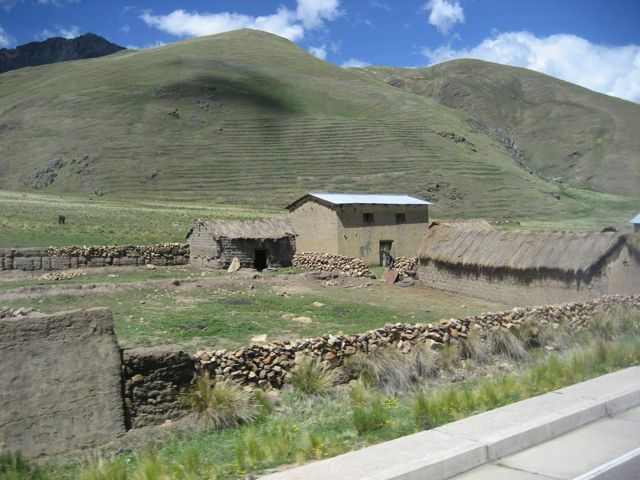 For instance, in Peru there is an instrument called the cajita. That’s the Spanish word for a little box. A traditional cajita is made from wooden donation boxes used to collect offerings of money in churches. The box was generally worn around the neck and the top was opened and closed to receive the donations. Then, when this clever little box was transformed into an instrument, a stick was added that could be used to tap the sides, front or top of the box at the same time the lid was being opened and closed. In addition to tapping the outside of the box and lifting or closing the lid for sound, you might also see players opening the lid and rapping the stick on the inside walls of the box with a movement that looks like stirring soup. Sounds confusing? Once you watch it a time or two – you’ll see exactly how they turned a plain little wooden box into a remarkably fun and clever percussion instrument. Can you make a cajita at home without a small scale woodworking project? Sure! 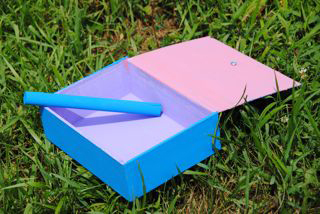 You just start with a few simple supplies such as a sturdy box with a lid (cigar boxes are perfect), two dowels or small sticks, a small kitchen cabinet or dresser drawer knob and materials to decorate your spunky little instrument. A complete supply list is located below. 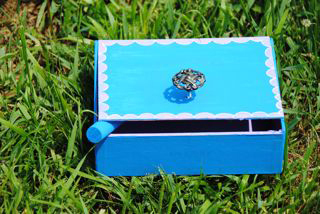 Once you’ve gotten a hold of a box you can use for this project, begin by decorating it. Paint it, decoupage it, add stickers, construction paper or glue and yarn and make it unique. Next, add the knob so you can lift the cajita’s lid up and down. 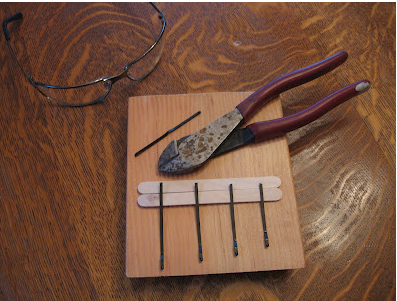 To do this, get an adult to assist you in hammering a small nail or using an awl to pierce a hole in the lid of the box. Position that hole in the exact center of the box, about an inch or so away from the edge of the lid that opens up. Once you’ve created the hole, insert your knob in the top of the box with the screw beneath and tighten it into place. Now you should be able to open and close the lid of the box easily. Next, cut two wooden dowels. One will weigh down your box so you can play your instrument without the cajita bouncing up and down. The other will be the playing stick that you use to tap and play your instrument. If possible, cut the first dowel to a length just a bit short of the inner width of the box. Glue the dowel in place in the inner front of the box and leave it to dry. 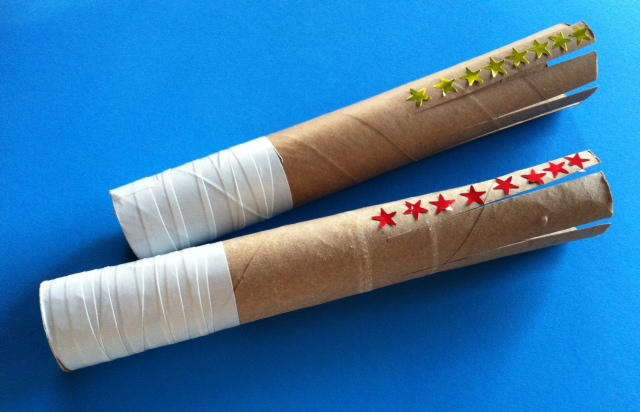 In the meantime, cut and decorate your second dowel. This one can be any length that you find comfortable to hold in your hand when you play. Once it’s all done – you can begin to jam! If you like, make several cajitas and you can play them along with each other or along with other instruments. If you think you’re ready to dive right in and start playing – then skip this section. If you want some good starter suggestions, these hints may be helpful in getting the hang of how the cajita is played. 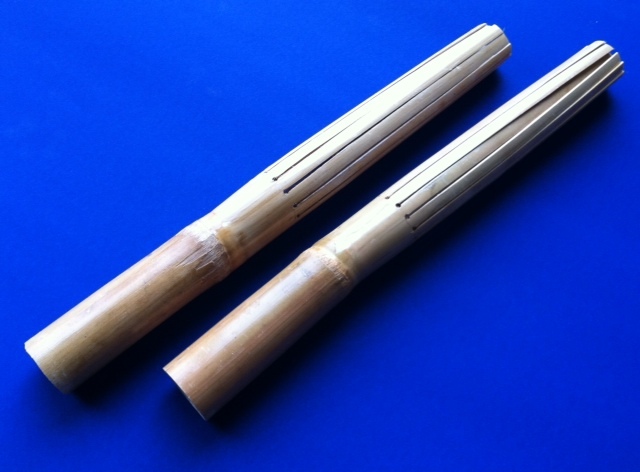 Begin to learn the instrument by tapping the sides and the front and making a pattern. Notice how the two sounds are different. Try something like “front, front, side. Front, front side.” Try something similar with the sides and the top. Later, add the sound of the lid opening and closing. Since this can sometimes seem like rubbing your stomach and patting your head, it’s best to start with simpler patterns and then work up to more complicated ones. If working with younger children, sometimes it’s good to let them explore the instrument so they become familiar with the sounds the cajita can make before asking them to play specific patterns. That way, they are more focused on exploration and discovery and are not so nervous about playing rhythms or beats until they are ready to do so. After you begin getting the hang of creating rhythms with your cajita, you may want to have one person play a very simple pattern – such as opening and closing the lid. The next person can add another sound, the third and forth, add their own simple parts. This can be a fun way of building rhythm in a group or classroom so each child hears how his/her part makes up part of the overall beat. If you check out this jam, you’ll see how the rhythm starts on one instrument called a quijana (a donkeys jawbone), the cajita is added next and finally, a large cajón (or box drum) joins in. How cool! Check out some of my homemade cajitas here.